Model No 105 Chute Container was designed to fit onto the operator’s platform of Mining Trucks, Model 105 is the same configuration as that of Model No 101, with the difference being it is smaller to suite the smaller operator’s platform on a mining truck. 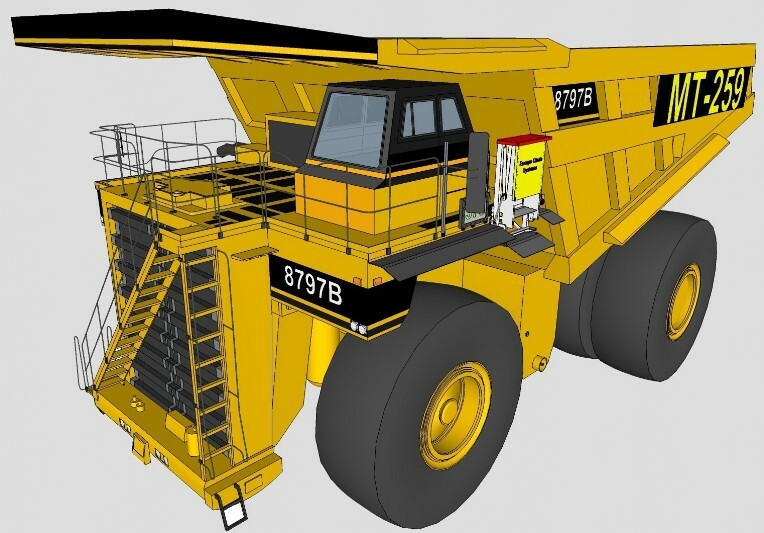 However, as Mining Trucks have become increasingly larger and higher, we can now fit the same Model No 101 which was for shovels and the like onto Mining Trucks. Too operate, just pull a pin, lift the red lid and use the chute, to be on the ground in 10 to 12 seconds. This system can be produced with a heating element for where extreme low temperatures are experienced.